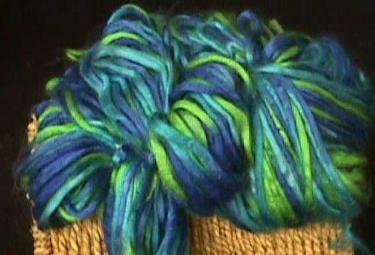 This is dyed pencil roving. This is UN DYED Kid Mohair Roving. It is 90% Kid Mohair, 10% Wool. 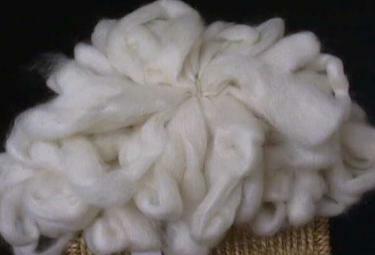 This is "raw" soft white, it is natural. It can be used as is or is ready to dye.